If you’re into street wear like I am, you would definitely have seen girls matching high waist fishnets underneath their ragged jeans. Some girls look gorgeous in them, while I am too lazy to put anything more than a one-piece tunic on in this blazing heat. Yet, if I were to get my hands on these fishnets by Lirika Matoshi, I’d definitely rock them with shorts, skirts, or even just them by themselves at home. 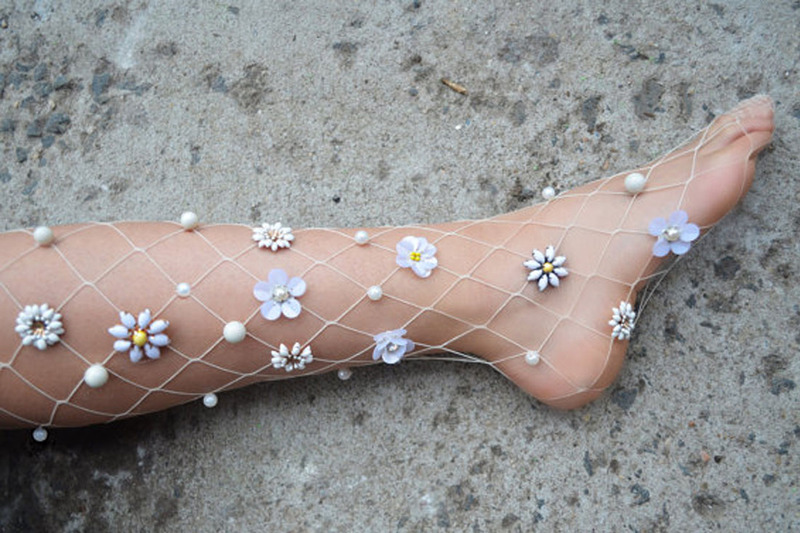 Literally works of art, the New York based artist creates embellished fishnet tights that are too magical to be true. 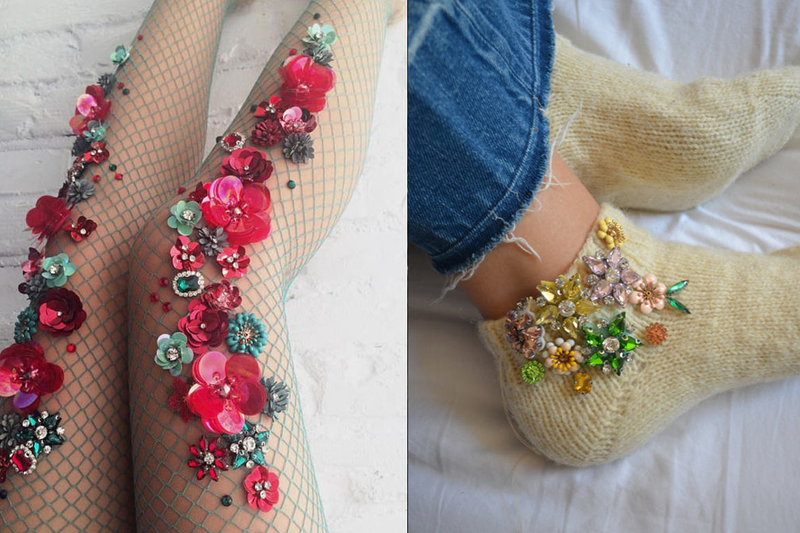 With immense details such as beaded fireflies, layered flowers stars, and other shiny things, her fishnets are sought after by celebrities such as Nicki Minaj, Rita Ora and more. Click through to her Etsy shop here to see more.